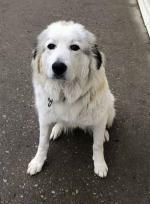 I am debating whether or not to get my pyr fixed. Would this keep him from wanting to roam? 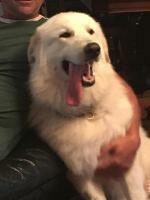 We have a one year old rescue Pyrenees we named Winston and are getting him fixed next week. First check up he shook all the way to the vet, poor thing. Thought we were going to get rid of him I guess and was fine going home. Neutering and spaying makes them more comfortable. I have read that this breed will roam regardless though and must have a fenced yard. We are in the country and have to build one in the spring so for now the big task is teaching this huge polar bear to heel and stay. Have had a few nose dives in the snow so far when he pulls and catches a scent of something. He is extremely strong. Beautiful creature though and doesn't seem to want to eat our old cat, just wags his tail at her while she swats and swears. It's only been two and a half weeks yet and one of us has always been home with him. I have stepped out for 15 minutes to collect eggs and he hates being alone. Hopefully we can get that sorted or have no life lol. Very different not knowing a dog's history though. He attacked my husband the second night when he tried to get into bed. He yelled at him and he stood shaking like crazy. No more walking in the dark for now and he seems 100% improved but it was scary. 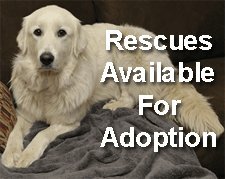 We have a 5yr old fixed Great Pyrenees, and he roams when ever he gets the chance. On the bright side they are smart enough to find their way home. 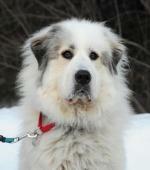 Pyrs were bred to guard their flocks which means roaming wherever those in their care wander. Therefore, they are independent thinkers. 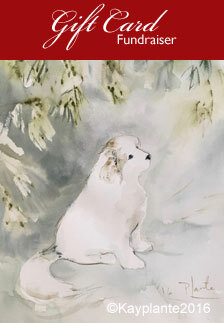 Pyrs must be kept on a leash when outside their fenced area. Neutered or not, they will wander. However, you should always neuter/spayer your dogs to avoid unwanted dogs. 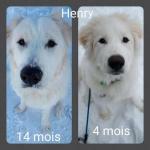 Our current Great Pyrenees is a little over one year old. Most of the "towns people" tolerate him. He has collar and tags with our name, etc. Therefore, we are constantly getting calls that our sweet, adorable has Been "found" and everyone assumes we have lost him. Best part? Most will happily say they fed him! Well, feed him and he will no doubt return to that person eventually. He roams about 3 square miles in total. Putting a lease on Will cause major turmoil. So, we have a halter to use. We have about three and a half acres fenced around our home. Ever watched a huge hairy dog climb a cyclone fence? 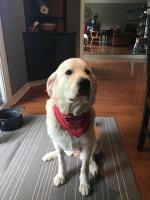 When he can sneak out, he roams across 4 lane highways and side roads. Wooded area not a problem, just walks through. Loves the school and Nursing Home. And we still love him. This is irresponsible of you to allow your dog to roam like this. First, I hope he is neutered. 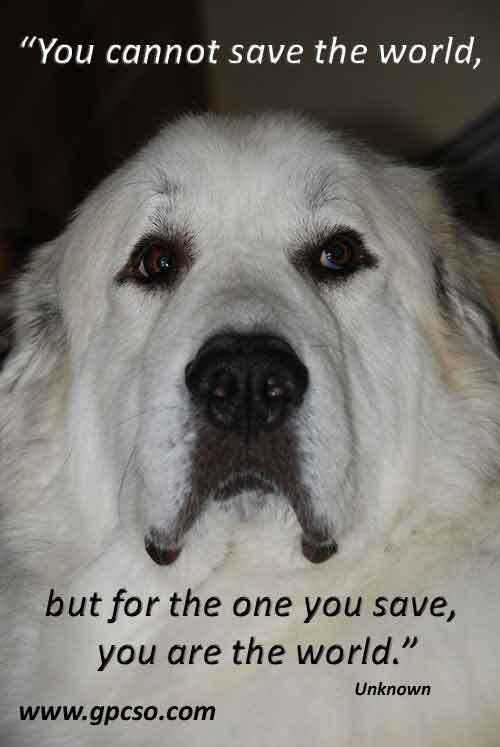 Second, I hope no one gives you a fourth Great Pyr because your third one will be hit by a car. So will your forth one. Third, he will continue to roam if people continue to feed him. And, you'll be lucky if someone doesn't poison him because they are tired of having him roaming. Put up a six foot secure fence. If someone is smart, they will keep your dog and give him a better home than you are giving him.